A man who lived about 40,000 years ago in Eastern Europe boasts the most Neanderthal ancestry ever seen in a member of our species. You may not know it, but you probably have some Neanderthal in you. For people around the world, except sub-Saharan Africans, about 1 to 3 per cent of their DNA comes from Neanderthals, our close cousins who disappeared roughly 39,000 years ago. 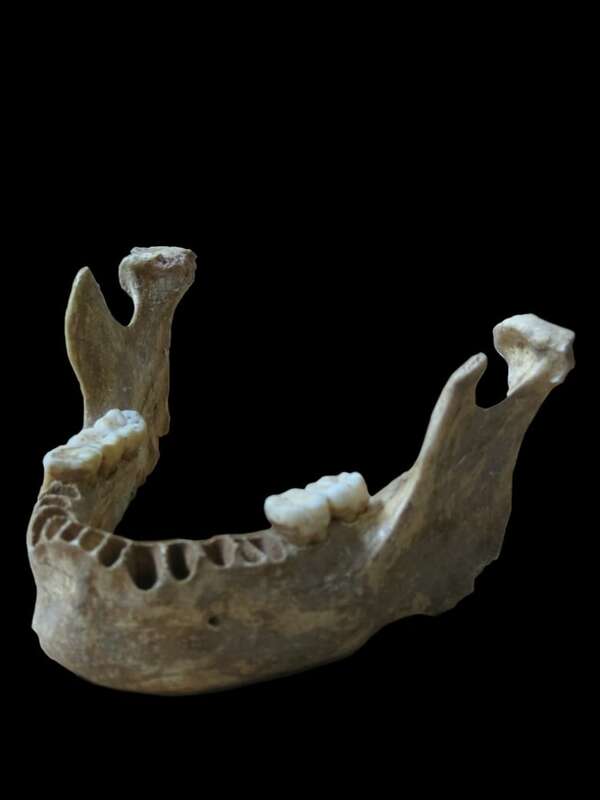 Scientists said on Monday a jawbone unearthed in Romania, of a man who lived about 40,000 years ago, boasts the most Neanderthal ancestry ever seen in a member of our species. 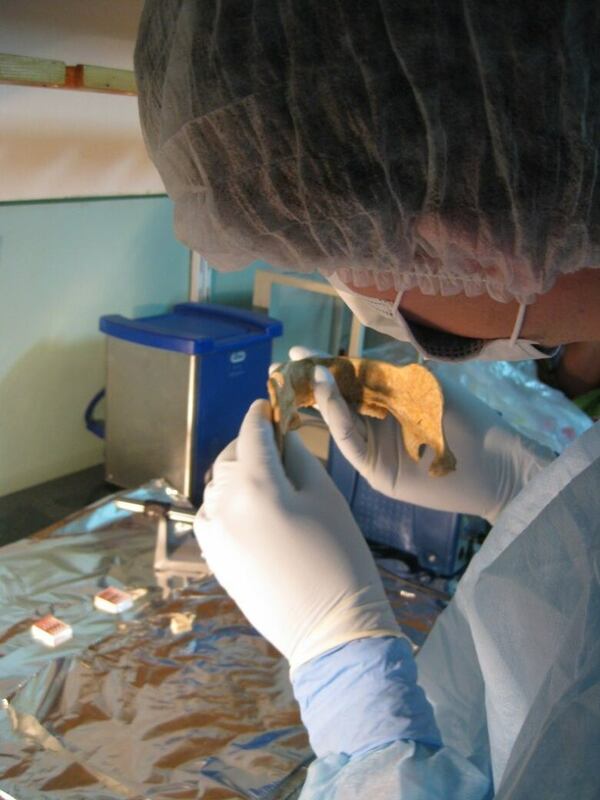 DNA taken from a 40,000-year-old modern human jawbone from the cave Peștera cu Oase in Romania reveals that this man had a Neanderthal ancestor as recently as four to six generations back. (Svante Pääbo/Max Planck Institute for Evolutionary Anthropology)The finding also indicates that interbreeding with Neanderthals occurred much more recently than previously known. 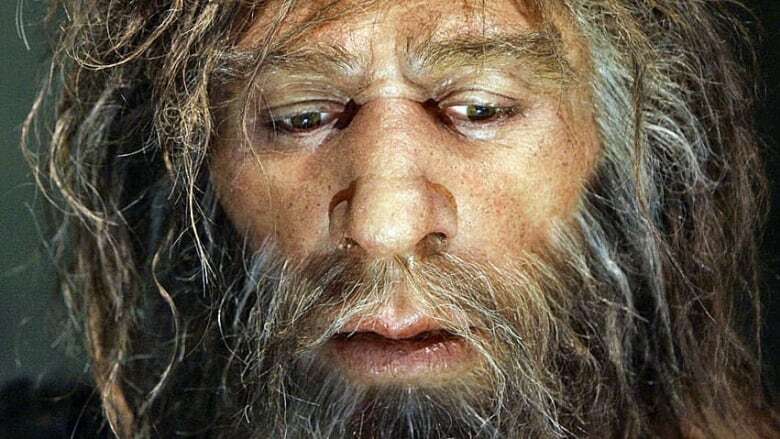 "We show that one of the very first modern humans that is known from Europe had a Neanderthal ancestor just four to six generations back in his family tree," said geneticist Svante Pääbo of Germany's Max Planck Institute for Evolutionary Anthropology. "He carries more Neanderthal DNA than any other present-day or ancient modern human seen to date." Harvard Medical School geneticist David Reich said 6 to 9 per cent of this individual's genome derived from a Neanderthal ancestor. The study, published in the journal Nature, indicates that our species interbred with Neanderthals in Europe as well, not just in the Middle East as previously thought, Pääbo said. Previous research suggested this interbreeding occurred 50,000 to 60,000 years ago, before our species, arising in Africa, trekked into Europe, Asia and beyond. "Modern humans arrive in Europe after 43,000 years ago, and Neanderthals went extinct by 39,000 years ago," Reich said. The scientists said a Neanderthal was among the individual's ancestors as recently as perhaps 100 to 150 years. Reich said genetic analysis showed the individual, a hunter-gatherer, was from a "pioneer population" that entered Europe but did not contribute much or anything at all genetically to later Europeans. "This is interesting because it means that Europe has not been continuously occupied by the same lineages ever since the first waves of migration of modern humans into Europe," Reich said. The robust, large-browed Neanderthals prospered across Europe and Asia from about 350,000 years ago till shortly after 40,000 years ago, disappearing in the period after Homo sapiens arrived. Despite an outdated reputation as our dimwitted cousins, scientists say Neanderthals were highly intelligent, as shown by their complex hunting methods, likely use of spoken language and symbolic objects, and sophisticated use of fire. The lower jawbone was found in 2002 in Oase Cave in southwestern Romania. Previous attempts to extract DNA were unsuccessful but recent technological advances facilitated the new findings.